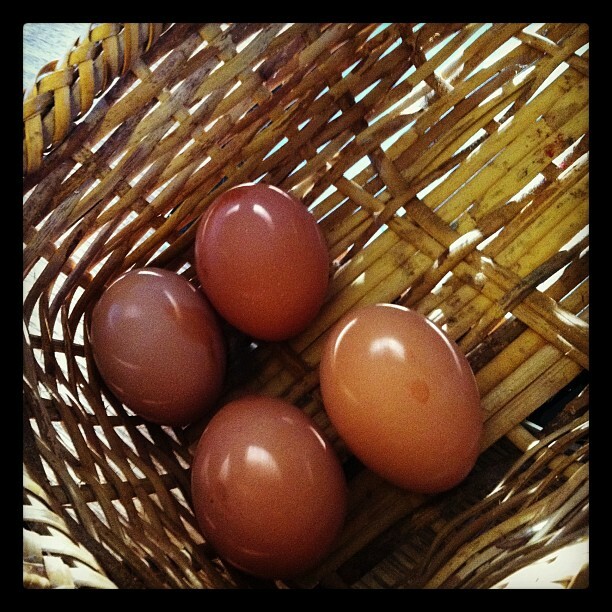 Our chickens laid their first eggs this week. We hadn’t been checking regularly since we assumed it would be another month or so but the commotion Bence was making led us to investigate. We were greeted with four eggs, one of which was still warm. We turned them into an omelet this morning and they were, of course, delicious! The yolks were noticeably more orange than even the organic free-range eggs we’ve been buying lately. Once the other two start laying I’m looking forward to an egg for breakfast nearly every day! This entry was posted in Family Photos and tagged chickens by Todd. Bookmark the permalink.